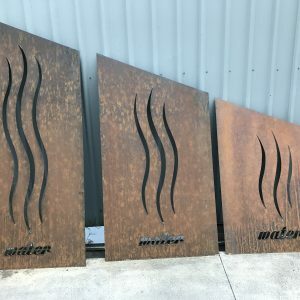 Cor-Ten “A” is a cold rolled weather resistant steel that protects itself upon beginning its natural weathering process. The materials anti-corrosive properties slow down corrosion due to its self healing patina. The atmospheric corrosion resistance of Cor-Ten steel is based on the chemical composition of the steel. 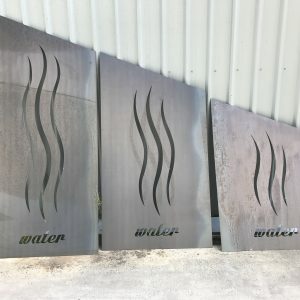 As a result of alloying elements, a dense protective layer, composed of corrosion resistant products forms naturally on the surface of the Cor-Ten under the influence of weather conditions, which significantly slows down the rate of rusting. 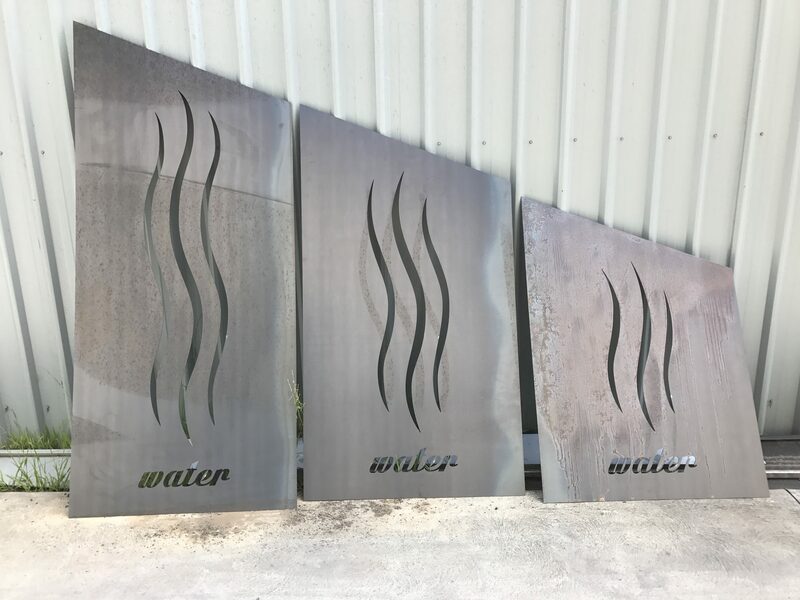 The protective layer develops within 18-36 months under normal atmospheric conditions, provided that the steel surface regularly becomes wet and dry. At first, the protective layer is a reddish brown, but gains a darker hue with time. In an industrial environment, the patina is formed quicker and becomes darker in colour than in a rural environment. Unusually high rates of corrosion may occur in chlorine containing or marine environments. It is recommended that Cor-Ten steel is painted under such conditions. 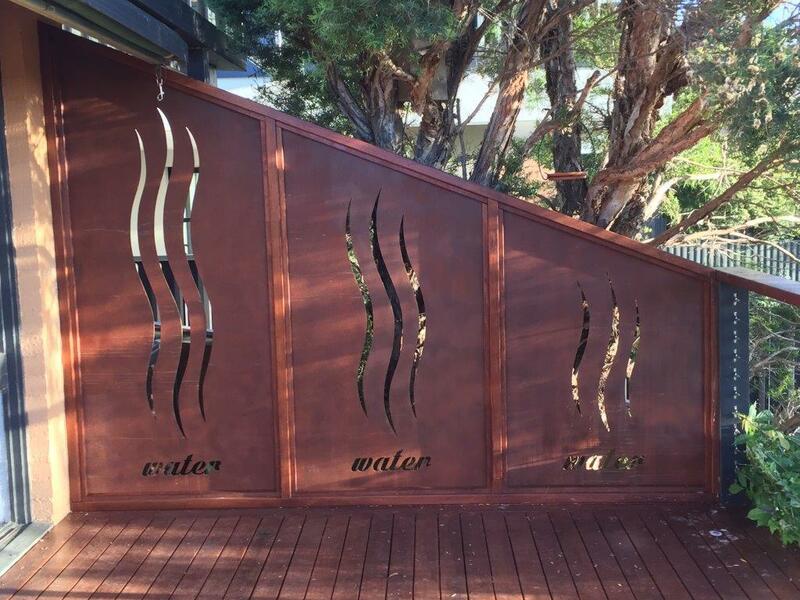 Architectural Panel Systems offers a “Pre-Weathering” service as part of our supply of Corten weathering steel. 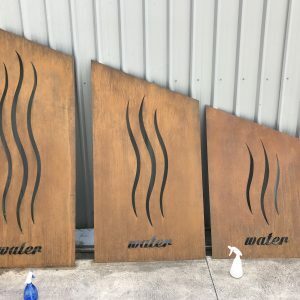 Prior to the Corten weathering and looking “rustic & natural” the material initially looks like standard untreated Mild Steel. 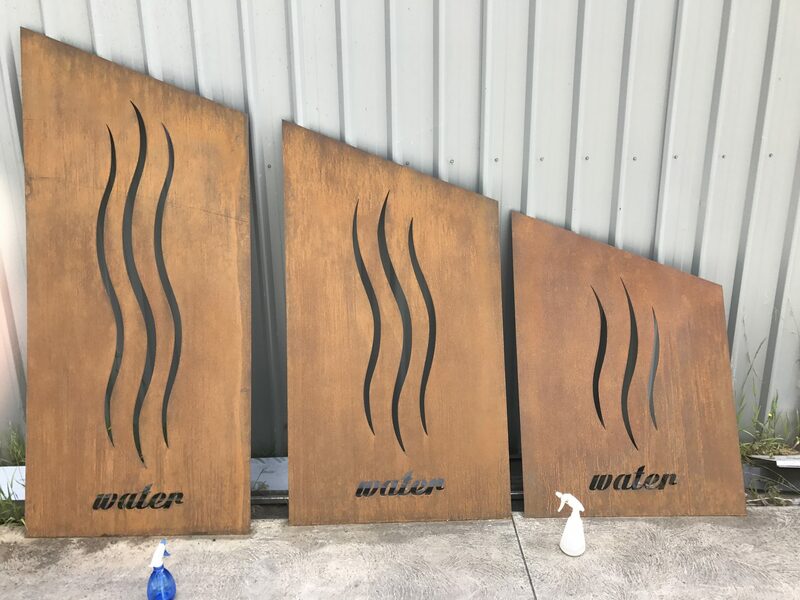 As the metal gets wets and dries repeatedly, it begins it’s weathering process. This can take time, depending on location, environment and many other factors. 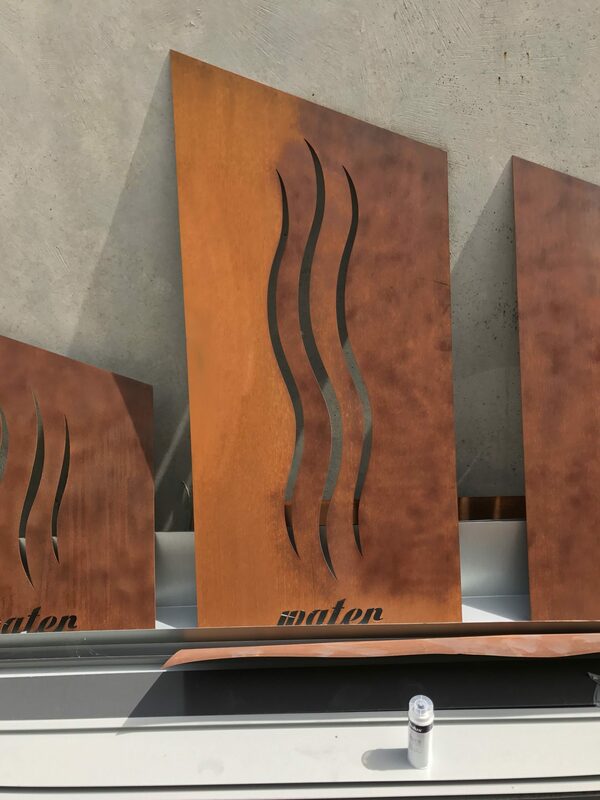 For those with little patience, Architectural Panel Systems can pre-weather the panels in our factory and supply them to site at their weathered stage, removing the waiting period. We have a mixture of chemicals and topical treatments we use that can achieve months of natural weathering in just a few days. 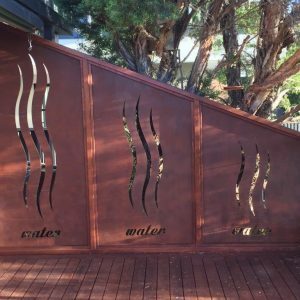 Architectural Panel Systems use a revolutionary technology that seals the Corten panels when they have reached their desired look. 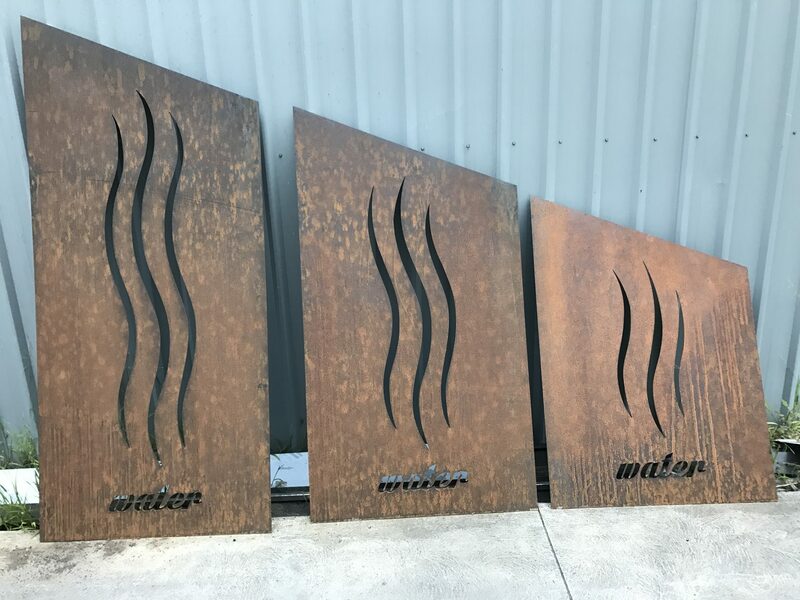 Using our “Pre-Weathering” service, we can weather the panels in our factory, to a stage where the customer is happy with them to keep them looking that way for the remainder of their life. 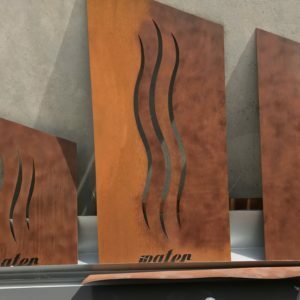 The 2 main reasons for this is for the customer to have their desired look and no changes for the remainder of the panels time and secondly as a means of sealing the panel to avoid any dripping, leaching, staining, rub off etc.